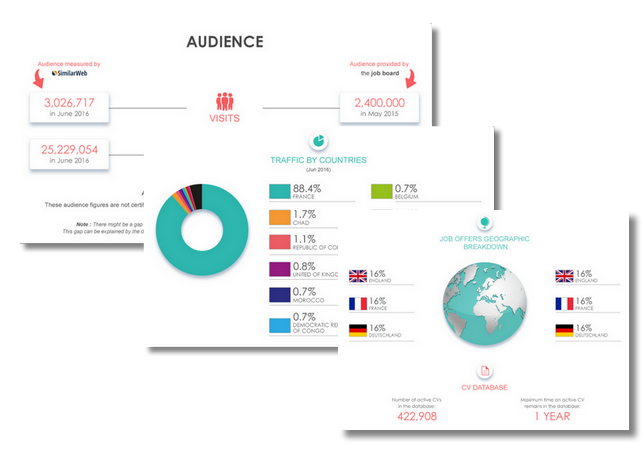 Kimeta is one of the leading job search engines and is one of the top 5 commercial job portals in Germany. Kimeta offers job offers in online shops, corporate websites, career websites, and HR advice. The results are ordered using artificial intelligence and a semantic search for qualitative criteria and timeliness. The focus is on simple operation, a high coverage of the job market and the latest search technologies. In the survey "Germany's best job portals", for the sixth time in a row, Kimeta won the category Job search engines. Login here for FREE to unlock access to the traffic audience, content and pricing section for more information on kimeta. Top values ​​for user satisfaction and search quality speak for themselves. 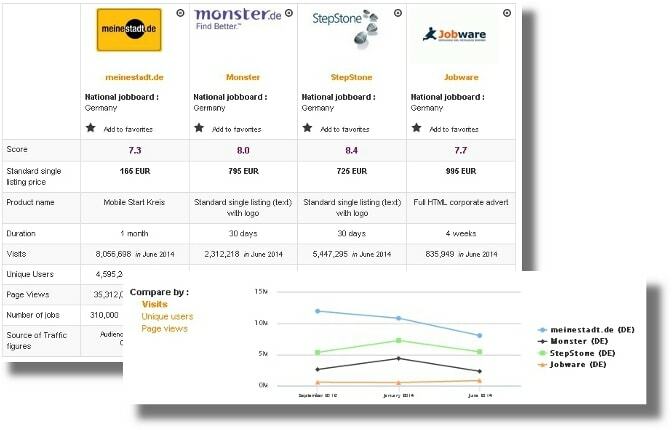 (Crosspro-Research, "Germany's best job portal: http://crosswater-job-guide.com/archives/37008) The satisfaction of the users is reflected in the high visitor numbers and pageviews Millions of uniques and more than 25 million page impressions, while Kimeta offers an ideal recruiting platform for companies, with different products, such as individual layouts in individual layouts, top placement or the mirroring of already existing vacancies.